As a member, you’ll be the first to taste our new, fresh brews and help decide what we brew next. Every time you’re in the brewery, enjoy $1 off pints. Members also get to attend exclusive meetings where you enjoy beer tastings with food pairings while learning more about the brewing process and craft beer. Meetings are held every 6-8 weeks to help you stay connected. Another perk of being a member? Free custom member T-shirt and a glass with your name on it for use at the brewery. Be sure to stop into the brewery to finalize your membership, make your payment and pick out your hat or T-shirt! Prefer to print a form? 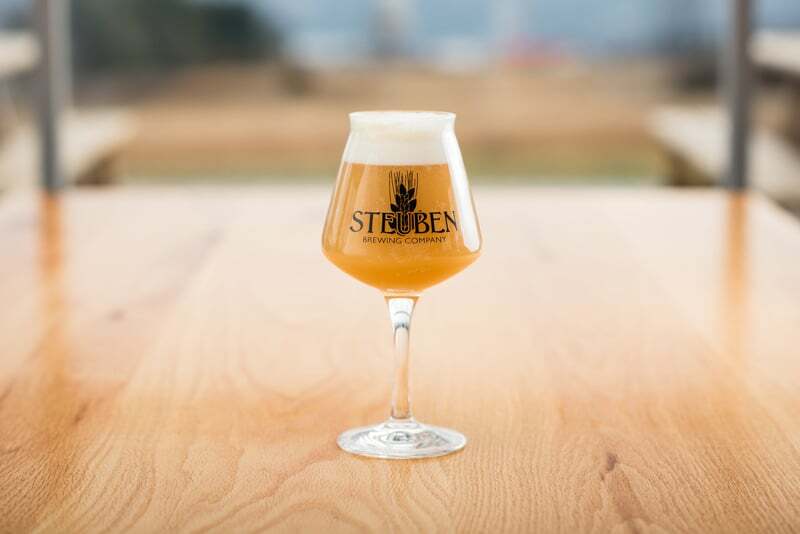 Download our Steuben Club Form and bring it into the brewery! Have more questions about the Steuben Club? Scroll down to view our FAQs or get in touch with us. 10. Last but not least…you belong to a Beer Club! When are member meetings held and is it required to go? Member meetings will be held every other month: They are non-committal, but if you want to learn about beer and beer making, this is for you. What is the typical agenda for a Steuben Club meeting? Brewing science presentation given by a Steuben Brewing Company brewer. 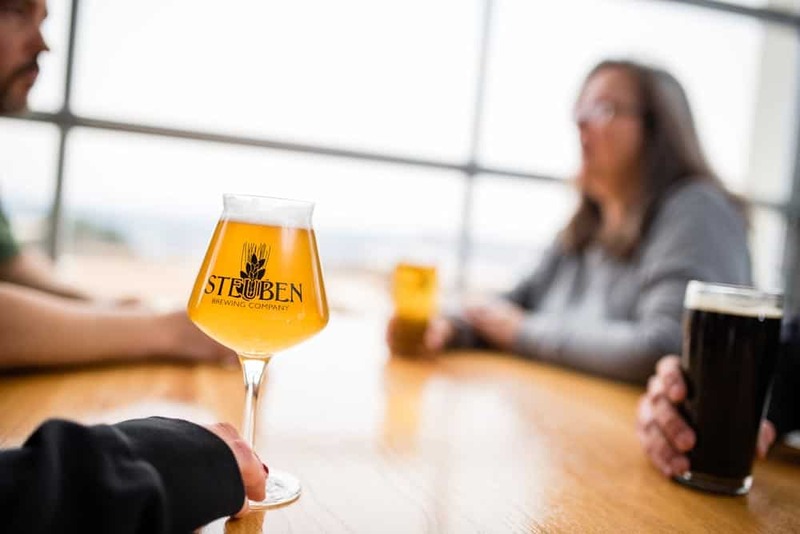 *Steuben Brewing Company recognizes the importance of protecting the privacy of information collected. We will not sell or pass on your details to third parties.